Suppose you’ve been working on for hours, but the file has been corrupted, deleted, or otherwise lost. It can feel like an enormous waste of time and effort. Now, these tips will help you recover your Office documents in no time at all. To get it back, fire up Word once again and open a document — an earlier version of the file in question is ideal, but any will do. 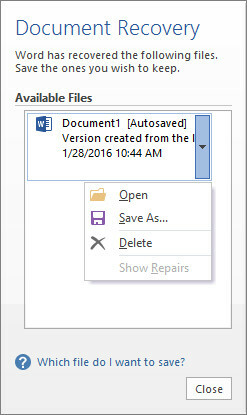 If you don’t see the document recovery pane as shown above, navigate to File > Manage Document > Recover Unsaved Documents. Type File Explorer Options into the search bar and open the corresponding Control Panel result. Switch to the View tab and find the Hidden files and folders radio toggle in the Advanced settings section. Once you’ve found a file that matches your expectations in terms of file size and date modified, rename it and replace the extension with .docx for versions of Word post 2007 or .doc for earlier iterations. Open it up and see whether it’s the file you were looking for — and don’t forget to go back and change the radio toggle toDon’t show hidden files, folders of drives once you’re done. This may seem obvious, but it’s easy to overlook in a panic. Unless you’ve recently emptied it, your Recycle Bin will contain all files that have recently been deleted. 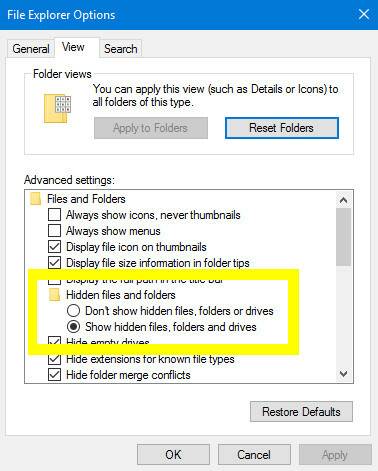 That includes documents you’ve removed manually, as well as temporary files like the ones detailed in the above section of this article, so make sure your File Explorer Options are set to Show hidden files, folders and drives when you check in. The Recycle Bin can be a real life-saver for users working with Microsoft’s online services like OneDrive and Office 365. If you’re using a personal account, deleted files can be recovered by heading to the Recycle Bin and using the Restorefunction. However, if you’re on an enterprise account, you’ll likely have to speak to an administrator in order to have the files recovered. With these options enabled, you’re giving yourself the best chance of having a backup of your work.